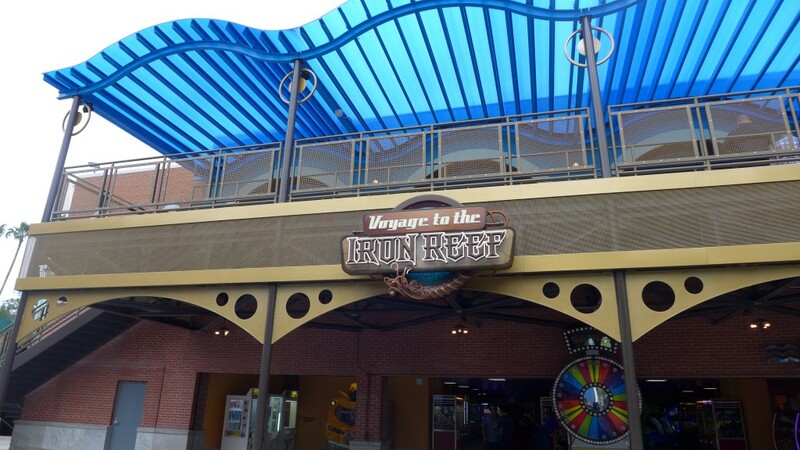 Today marked a historic day for Knott’s Berry Farm as the park celebrated the official grand opening of Voyage to the Iron Reef. The brand new 4D Shooter located in the Boardwalk section of the park. For those unfamiliar with the park’s history, Iron Reef occupies the former location of Beary Tales, an attraction that was designed by Walt Disney Imagineer Rolly Crump and Kingdom of the Dinosaur, which had been worked on by legendary Imagineer Bob Gurr. As you can imagine this location had hosted two beloved theme park attractions, will Iron Reef fill the big shoes it’s been left with? We will take a look into the ride a bit later. During the grand opening ceremony festivities, fans, bloggers and special guests gathered around the new attraction for the official Christening of the brand new ride. In typical Knott’s fashion this included costumed characters, legendary theme park speakers including Bob Gurr who talked about his involvement in Kingdom of the Dinosaur and park General Manager, Raffi Kaprelyan who mentioned that the park’s ongoing evolution will shift gears and focus on the 75th Anniversary of Ghost Town in 2016 and we’re greatly looking forward to hearing about it in the coming months. 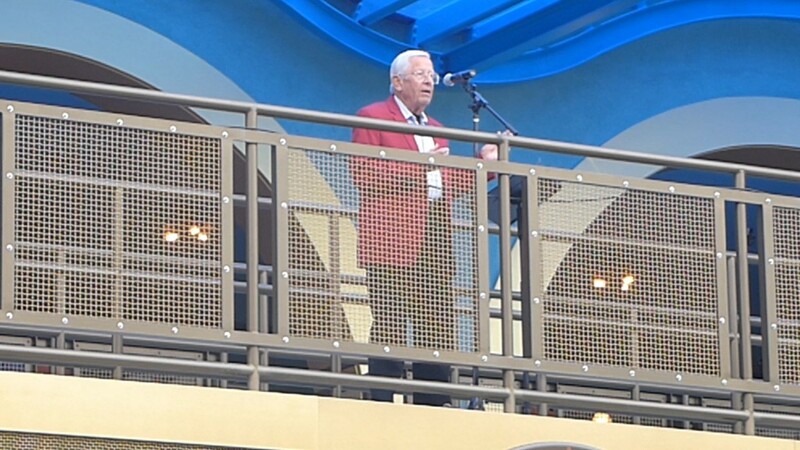 Video-Watch the Grand Opening Ceremony of the groundbreaking new Knott’s attraction! The building for the attraction itself has seen a lot of brand new thematic and structural changes to fit the whimsical, steam-punk aesthetic of the new ride and it turned out really nice. Please note that the remainder of the article contains spoilers and a review of the attraction. Riders enter a generic switch back and up a lightly themed staircase as they enter the first and only themed pre-show. This room does a good job at creating a visceral tone and atmosphere, but does fall short in telling a true back story. 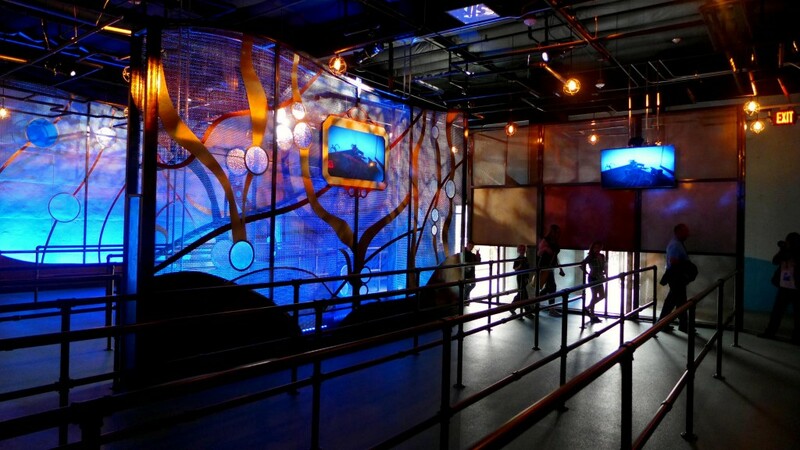 The video monitors play a short video loop of a sea captain’s encounter with a metal crab. 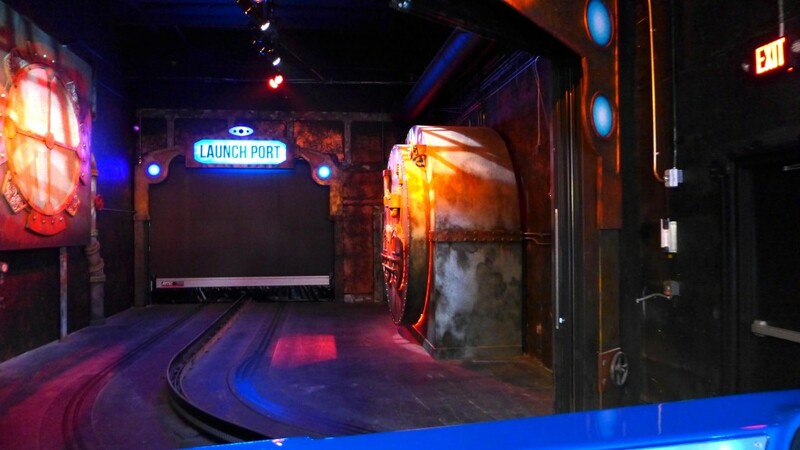 After the pre-show you enter the main loading area, this is where you get your 3D glasses and your first glimpse at the submarine ride vehicles. Each car holds 1 row of 4 guests and each train consists of 2 cars. As you can imagine the loading times will be slow as this attraction will average about 800 riders an hour. Once you board your sub, you are thrust into this new, underwater world. 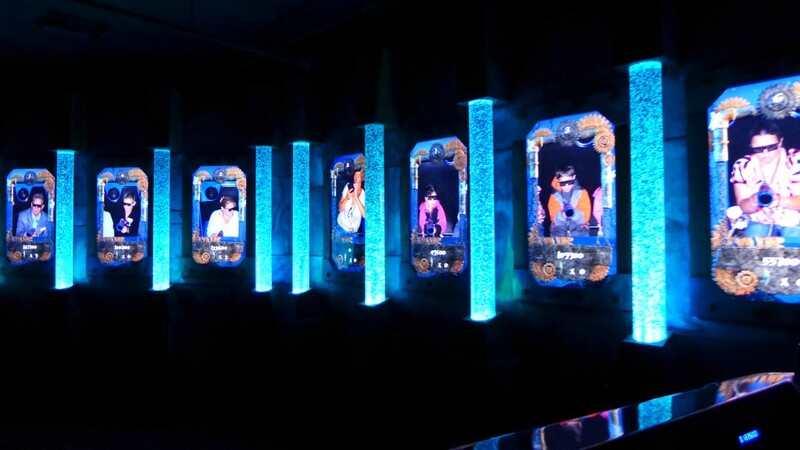 The attraction relies heavily on the screens but does utilize practical sets around each screen and in between scenes to help the flow of the attraction a bit better. 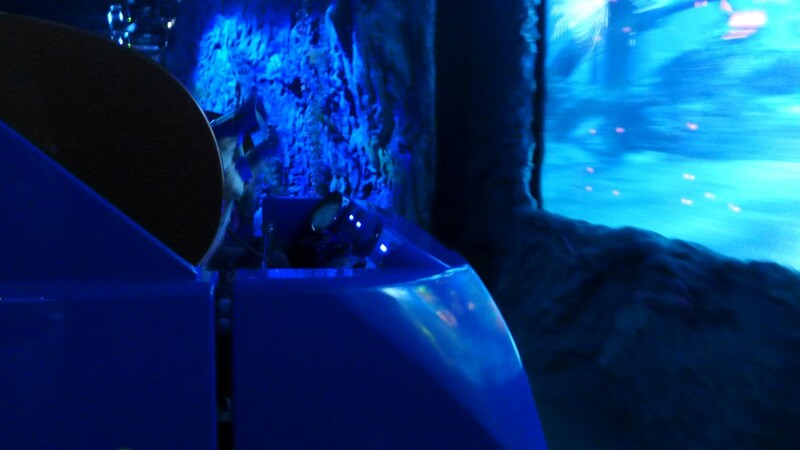 The Knott’s scenic crew did a wonderful job modifying and blending the screens into the real world, though during your ride you will be focused primarily on blasting little mechanical fishies into oblivion. 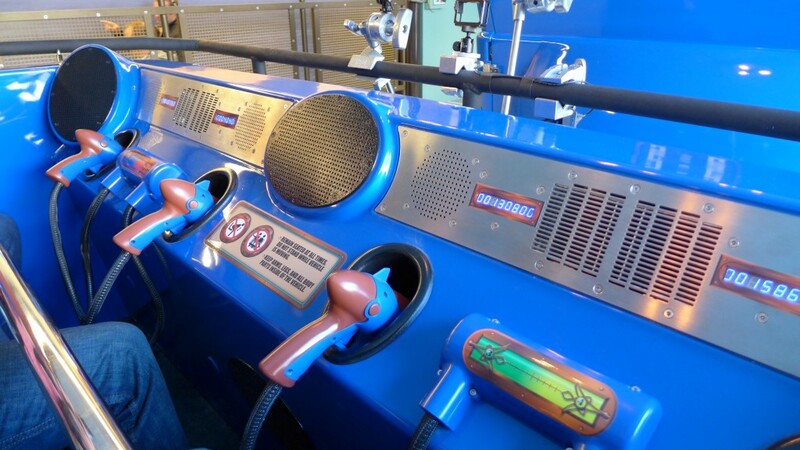 The ride ends with a large scoreboard that tallies up your score and ranks you among fellow riders, before quickly jet back into the loading station. 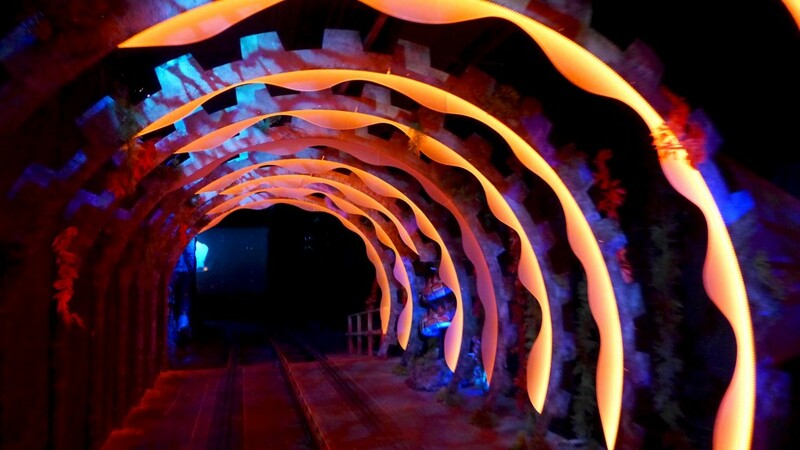 The entire ride takes about 5-6 minutes and features massive 3D screens mixed with practical wind and smoke effects. This marks the 2nd attraction in an ongoing partnership that Cedar Fair has made with Canada based TRIOTECH who designed the software, ride system and screens for the attraction. Video- Go on a Voyage to the Iron Reef with us! Final thoughts? Voyage does a remarkable job adding a new experience for guests, and further rounding the park as a true family friendly destination. It’s also a big step for Cedar Fair, as a whole. Traditionally the chain has built amazing, record breaking coasters, which it continues to do, but it seems like Knott’s is fast becoming the flagship park for what the rest of the chain wants to be. The storytelling, and themeing of the park is evident in the new attraction, and it’s an attraction that will make it’s way, in one form or another, to other parks in the Cedar Fair chain. While the ride is a ton of fun, it is not without it’s own small flaws. It immerses you into this new world, but it fails to tell you any back story, who the Kracken Queen is? Why does she hate you? Where did they come from? Why Knotts? Ect. Being a longtime fan of Haunt I was expecting a full fledged storyline on the same level, if not higher than I am used to seeing during the Halloween event, but it just never came. That is a small nit-pick for what I would otherwise consider a BIG win for the small park. Ghost Town will be turning 75 years old in the Summer of 2016, and Knott’s is sure to have some big plans… we can not WAIT! Previous PostSpooky Empire's Mayhem Gets "Freak"-y This Weekend Next PostThe Legoland Florida Hotel open Friday! Get an early peek from a travel mom!